Furtak-Pobrotyn J, Pobrotyn P, Rypicz Ł, Susło R, Drobnik J, Witczak I. Forced prolonged hospital stays as a manifestation of the dysfunction of the Polish long-term care system. 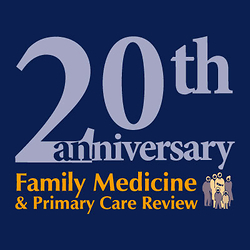 Family Medicine & Primary Care Review. 2018;20(3):218-221. doi:10.5114/fmpcr.2018.78254. Furtak-Pobrotyn, Joanna, Piotr Pobrotyn, Łukasz Rypicz, Robert Susło, Jarosław Drobnik, and Izabela Witczak. 2018. "Forced prolonged hospital stays as a manifestation of the dysfunction of the Polish long-term care system". Family Medicine & Primary Care Review 20 (3): 218-221. doi:10.5114/fmpcr.2018.78254. Furtak-Pobrotyn, Joanna et al. "Forced prolonged hospital stays as a manifestation of the dysfunction of the Polish long-term care system." Family Medicine & Primary Care Review, vol. 20, no. 3, 2018, pp. 218-221. doi:10.5114/fmpcr.2018.78254. Copyright: © 2018 Family Medicine & Primary Care Review. This is an Open Access article distributed under the terms of the Creative Commons Attribution-NonCommercial-ShareAlike 4.0 International (CC BY-NC-SA 4.0) License (http://creativecommons.org/licenses/by-nc-sa/4.0/), allowing third parties to copy and redistribute the material in any medium or format and to remix, transform, and build upon the material, provided the original work is properly cited and states its license.